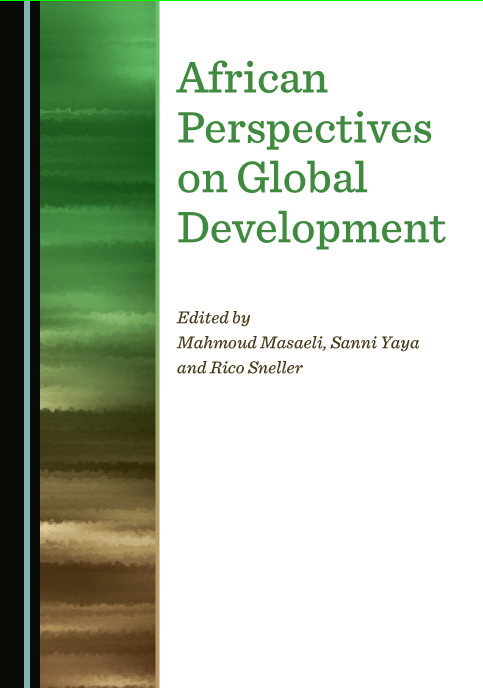 Full Professor Sanni Yaya and Visiting Professor Mahmoud Masaeli has published the book “African Perspectives on Global Development”. To get a copy of the book, please visit Cambridge Scholars Publishing. Africa is not merely an invention with a modern, imperial or colonial background. Nor is it simply a continent in need of foreign aid from the richer, more affluent societies. Africa might be economically needy, politically unstable, and, in part, socially chaotic and suffering from civil wars and social unrest. However, the continent and its peoples are certainly different from the negative image portrayed in the mass media. Africa had been the cradle of civilization in the pre-colonial era, and is today undergoing a diverse cultural, philosophical, and spiritual development with great potential, contributing to contemporary debates around the ethics of globality. The novelty of this book derives from its multidisciplinary approach. Although the authors generally come from the fields of development and economics, global studies, political science, philosophy and ethics, and sociology, they present Africa’s alternative view of human wellbeing in order to provide theories and policy recommendations which inspire the specific developmental patterns for the growth of the continent. The volume discusses the meaning of development for the continent by drawing on culture, identity, ethnicity, and philosophy of nature. The contributors examine a variety of issues and themes directly related to the opportunities provided by globality to promote the development of the continent. They also discuss solutions for underdevelopment and poverty, and how those perspectives might be effectively integrated into the global agenda for the development of Africa.